This week, we�re greeted by the Forrest Wood Cup, FLW�s world championship that pits the circuit�s best anglers against each other and the elements. While it may not carry the industry chatter of the Bassmaster Classic, I�ve always found the FWC to be an incredibly well-run event. As a bonus, it allows for media access like no other tournament in fishing, making it possible to dig deep into the competitors' minds and visualize their game plans; feel their adrenaline and fears. In addition, the FWC comes equipped with a killer barbecue competition possible only in the South, a nice, but not jam-packed outdoor show and an A-list country music concert � for free. The site for the 2018 event is Lake Ouachita � the strangely named body of water pronounced with two W's and spelled with none. Settled near Hot Springs, Ark., Ouachita is a sizable reservoir that hosts a large number of tournaments each year. Catch rates vary from the mid-20s in the spring to the low-teens in the heat of summer. �Heat� may not accurately describe the current conditions leading up to the event. Temperatures have hovered in the mid 90s each day, with little or no rain in the area. The only saving grace may come in the form of predicted storms around tournament time, offering a relief from the swelter, and possibly stabilizing water levels that continue to fall due to power generation. Ouachita has always been a mysterious pattern lake, with competitors catching fish in all depths and on a variety of lures. A case in point: previous Ouachita Cups were won in water depths ranging from 2 feet (Brad Knight) to nearly a hundred (Scott Suggs). Reports from the lake find the best grass beds, and therefore best fishing, occurring on the main lake. In addition, Suggs himself reports recent high catches from his beloved standing timber. So who might win? 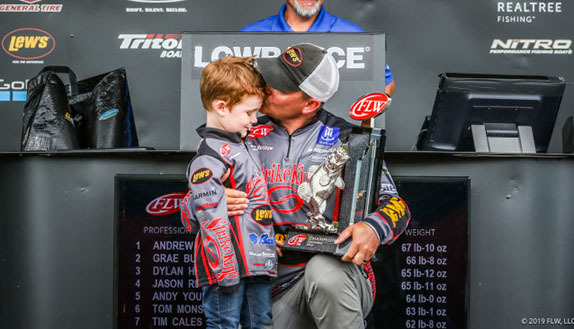 A few short weeks ago, I emphasized the stout, household-name field for this event � possibly FLW�s best lineup since the late '90s when pros from �both sides� graced the tournament. Therefore, my picks may be less than surprising. > David Dudley: Okay, easy pick. Dudley has been to, and been consistent in, more Ouachita events than any angler on Tour. He�s a previous Cup champion, has been a top contender forever, and doesn�t seem to get too wrapped up in the theatrics of tournament angling. With his longevity and past accomplishments, I doubt Dudley even gets rattled anymore, which is a big factor in winning championship events. > Clark Wendlandt: Wendlandt is one of the sport�s greats, and he�s been strong at Ouachita before. Possibly the only hole in Wendlandt�s resume is an extended winless streak covering most of the early 2000s after coming out firing in the late '90s. I�ve always felt that Wendlandt flies somewhat under the radar and is capable of winning any big event at any time � especially those in the southcentral U.S. I picture him knocking one more out of the park, then riding off into the sunset like a rodeo cowboy. > Andy Morgan: Another big surprise, I know. While many of you recognize my fascination with Morgan�s methods, coupled with his apparent lack of concern for tournaments as a whole, the elephant in the room routinely shows it�s head when picking him. Quite simply, Morgan rarely wins, a fact he acknowledges routinely. Regardless, Morgan�s tournament r�sum� is nothing short of incredible, with top-10 finishes on Tour every single year dating back to 2006. Can he seal the deal this time? It may be tough, as he�s acknowledged an overall lack of enthusiasm for the venue, but Morgan�s always in the mix and he�s one of the best tournament anglers of all time. > Bryan Thrift and Scott Martin: Two very different personalities with one thing in common � they seem to always be around when big bags of money are being given away. 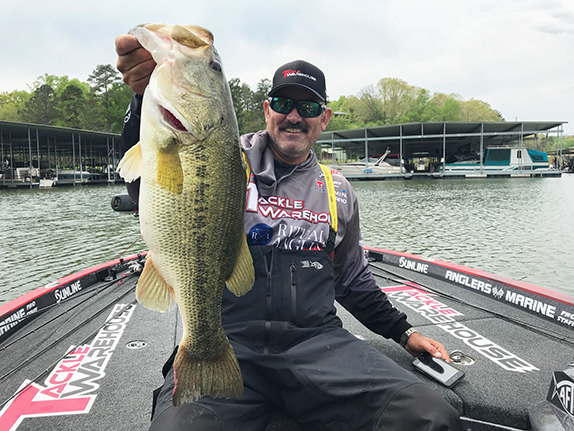 Ouachita sets up perfectly for Thrift, as one or two big, shallow fish will likely be needed to supplement a deep-water stringer in order to contend. Martin has won here before and is adept at all depths and playing fields. Either angler would be a good bet. But neither are my pick to win. That�s because this year�s title, I predict, will go to Zack Birge. Zack Birge? Zack Birge will take down these titans and reign supreme? Little 20-something Zack Birge, you say? That�s right; Birge has got a real shot at this. Hailing from Oklahoma, he is well adept at techniques that may fit Ouachita well, like deep spinnerbaiting (Suggs' winning method) or shallow cranking. 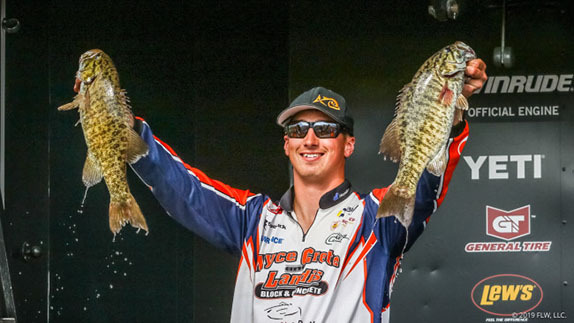 Birge nearly won this year on Lanier and had a strong finish at the 2015 Cup event on Ouachita. In addition, there�s been a real youth movement at recent championship events, as just-out-of-college anglers have been running the table, and anything seems possible. I look to Birge to keep the momentum going. In any case, the field is set for an incredible event, and a true test of the best with the summer conditions. I�ll be there to get the inside scoop and bring it back to you, here, next week.